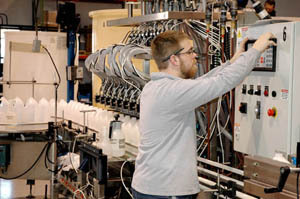 Our production department can fill all sizes and shapes of containers, from two-ounce bottles to totes. 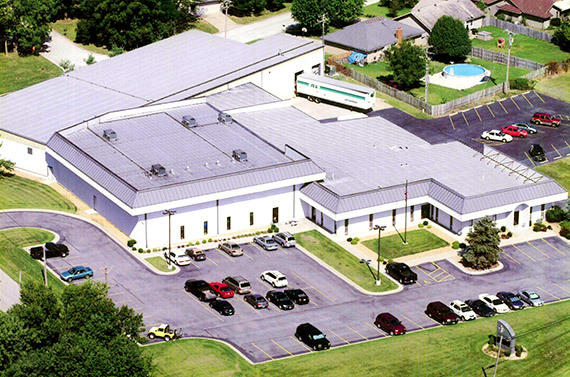 We have three liquid fill lines, as well as other types of fillers. A recent expansion of our production and warehouse has given us room to add two to three more production lines if needed. 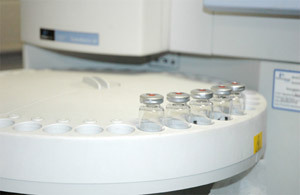 We perform extensive quality control testing on every FDA regulated product batch. This includes our Hand Sanitizers and Antibacterial soaps. We comply with FDA Repeatability Standards and Quality Assurance documentation. 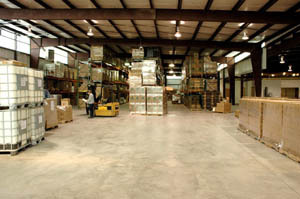 We have approximately 70,000 square feet of warehouse space. Our shipping facility is centrally located, capable of accomodating all size trucks, and EDI equipped. We have relationships with all major truck lines and carriers.